At long last, Jamaica has LTE. Well, Jamaican cities at least. Digicel rolled out its LTE (Long Term Evolution) network (June 9, 2016). Billed as up to 10 times faster than 4G, Digicel customers are now able to access LTE speeds in the Kingston and St. Andrew Corporate Area and Montego Bay. LTE is already commonplace in first world countries like the US and the UK. It is also commonplace in some Digicel markets around the region. Digicel even sells LTE enabled phones! But it’s delayed introduction is due to … well, that depends on who you ask. Digicel’s official response given at the pre-launch event in their super cool video conferencing room (more on that in another piece) was spectrum. Digicel only recently acquired the 700 MHz spectrum required to provide LTE; by recently I mean April of last year. They then spent US$50 million dollars to deploy LTE across Jamaica (but only available across the cities for now) as a part of their “Network for the Future” commitment. In a release, the company noted that “the 700 MHz band - globally recognized as the best spectrum for deploying the technology because of its superior in-building coverage and wider signal reach when compared to similar frequencies”. The on-site speed tests were truly impressive with up and (wait for it) down speeds exceeding 20 Mbps with up speeds approaching 40 Mbps. I can’t wait to see how that translates in the real world when 1.4 million smartphone users jump on the network. 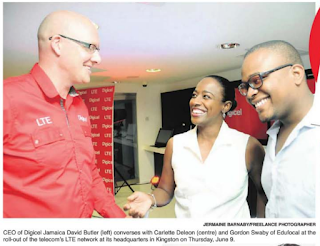 Notably, Digicel Jamaica CEO David Butler promised that Digicel will not throttle speeds. Others speculated (openly) that the timing of the introduction had more to do with competition (read: Caricel). FLOW has also announced plans to roll out nationwide LTE. But for now, their LTE offering appears limited to Carlton. But, back to Digicel. Despite my best efforts, I wasn’t able to pin down Butler to a specific timeline for the island-wide coverage, though before the end of the year would be a safe bet. No news yet on plans for the existing 4G network which powers several Digicel branded modems like the MiFi and CPE models, to the potential new LTE modems. Anyway, enough about the politics and technicality. Widely available LTE means that us data hogging, tech savvy Jamaicans can join our first world counterparts in enjoying all the trappings of social media, video streaming, live video casting, real-time ultra-fast gameplay and countless other distractions that our mobile gadgets and gizmos provide. Apps like Periscope may explode as Jamaicans live cast football matches and dances. Netflix need not be limited to WiFi making it practical to watch a movie while sitting in traffic on a bus. 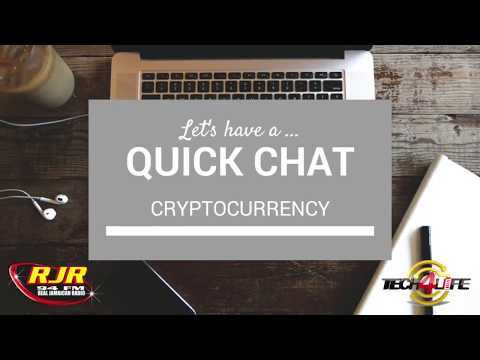 What of Digicel Play and 1SpotMedia? You can now watch the news on our handset without buffering. In the city at least. I say you, and not we, because, despite my best efforts, I wasn’t able to activate LTE on my business phone. Sure, Digicel is offering lots of prepaid and postpaid packages to suit various lifestyles, but I’ve got to wait for my rep to complete the activation. Not to worry. I can’t wait to get on LTE, and as soon as I am live, I’m likely to be buried in my phone.